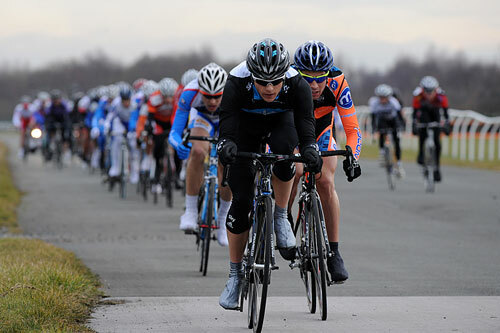 An unusually calm and balmy Aintree Race Course saw the juniors take the top three podium positions at the 49th Eddie Soens Memorial Cycle Race on Saturday morning. 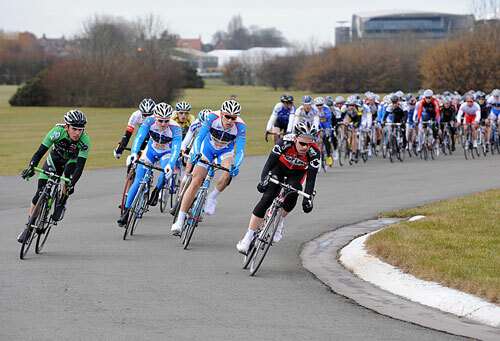 The handicap event around 30 laps of the 1.64 mile (2.65km) motor racing circuit within the famous National Hunt race course rode fast and even in the absence of any wind and the 1st group off which included the juniors took full advantage of the conditions. 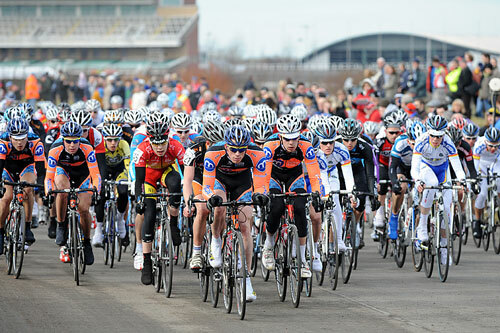 By the time the fourth group (Elite, 1st Cats), which included last years winner Ed Clancy(Motorpoint Marshalls Pasta), set off three minutes later the first group had made good progress in to gaining a lap. By the fifth lap a number of the first group juniors had got on to the back of the elite group, so gaining a lap. 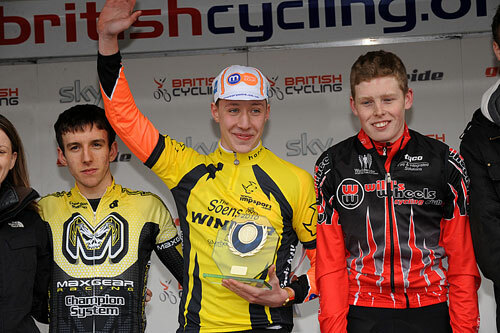 The final podium placings of Joshua Edmondson (Motorpoint Marshalls Pasta RT), Simon Yates (Maxgear RT) and Robert Crampton (Wills Wheels CC) sat in the large field as various breakaway attempts were made by Raleigh, Metaltek and Kuota riders, all of which were nullified. Going in to the penultimate lap the Motorpoint Marshalls riders of Burke, Clancy, McEvoy and Tennant were on the front giving Edmondson an armchair ride towards finish. Raleigh had one final dig going in to the final lap which eventually saw four time winner Tony Gibb cross the line first. 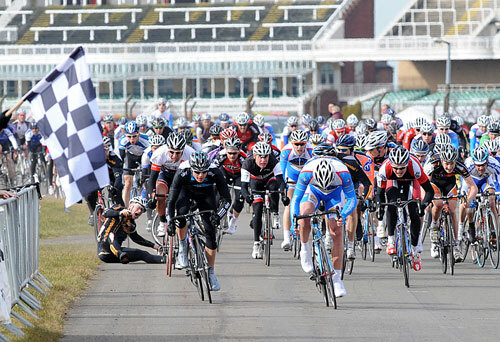 But it was Edmondson who held his nerve, positioning himself perfectly in the bunch to take a momentous win, though it took a few moments for the officials to decipher the photo finish film to confirm the win. The last junior to pull of the feat was Steve Cummings back in 1999.